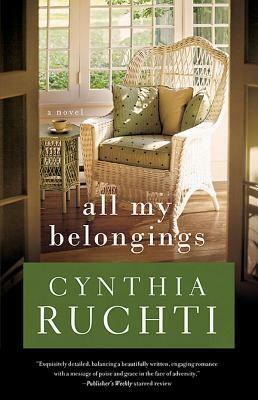 I was so excited when I heard that one of my favorite fiction authors was releasing her first non-fiction title! 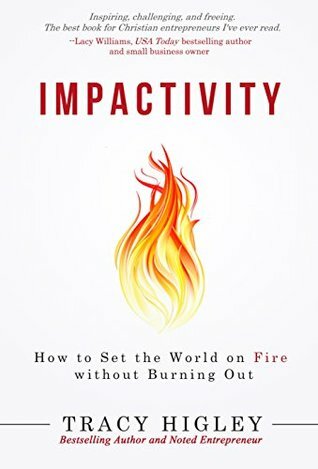 Plus "Impactivity: How to Set the World on Fire Without Burning Out" sounded like it would be right up my alley. The idea of truly impacting the world is exciting to me, and it's something I believe in with my whole heart. Within the first few chapters I was able to tell that I was not the target audience for this book, because this really was written for vision-oriented Christian entrepreneurs. I do not have the entrepreneur gene. At all. My heart for impacting the world is through relationships - my direct one-on-one contact with the lives I touch. Neither approach is wrong, because God is the originator of those desires, and He made people with different and unique strengths and weaknesses. For my own personality I didn't feel that I gained a lot from this book, but for those who want to build a business or pursue a specific dream, I think you'd find a lot more here than I did. The principle that I enjoyed the most from this book was Unshackle. Sometimes it is hard to give ourselves permission to lay down responsibilities that do not truly belong to us, or to feel the freedom to follow our own Great Adventure rather than being caught up in Other People's Adventures. This is a message that is quite important for everyone, because pleasing people is such a common setback. This book is the introduction to a set of five guidebooks meant to delve deeper into Higley's principles for Impactivity. If you are a Christian entrepreneur, I would recommend checking these out. Each new release from Tracy Higley is a much-anticipated event for this reader! 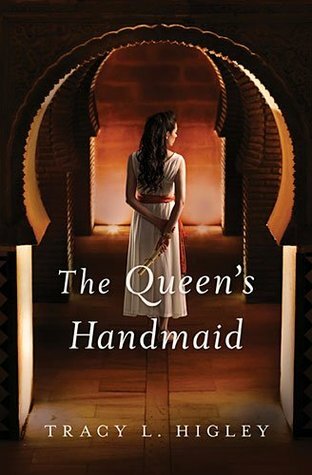 In "The Queen's Handmaid," we travel back to the time in between the Old and New Testaments, into the palaces of Egypt, Rome, and Judea, where one servant girl guards precious scrolls written by the prophet Daniel many years ago in Babylon. Raised as a servant in Cleopatra's home, Lydia is a responsible and skilled young lady. A fellow servant, a Hebrew named Samuel, has instilled in Lydia a respect for the One True God. As Samuel is dying, he entrusts Lydia with the care of the sacred scrolls which his family has kept hidden for many generations. He instructs Lydia that when she is able, she is to take the scrolls to the Temple on Yom Kippur, the Day of Atonement, to meet a man wearing a specific prayer shawl. On that one day a year a stranger will be waiting and watching for her. At the time of Samuel's death, a young and ambitious Herod is visiting Cleopatra and looking to form an alliance in order to be supported in his quest to take the throne in Judea. Lydia captures his eye, and he takes her to be a maid for his fiancee. The One God is leading her towards her mission objective! Lydia is excited to see a new land and serve a new mistress. Her personality tends to draw everyone to her so that they find her indispensable, but she's guarded in letting people in. While making a few friends along the way, she also catches the eye of Herod's evil sister, who is interested in foreign gods and their dark power. Danger lurks in more than one way, as the political situation is ever shifting, and there are those who are hunting the scrolls for their own purposes. There are two handy family trees at the beginning of this book to help us keep track of the history of leadership in Jerusalem. With so many men and women who shared similar names, I referenced the family tree often to help me keep things straight. Herod's page also extends many years past the end of our story, to document his descendants who were mentioned in the New Testament. This story was very captivating, and I had a hard time putting it down. I wanted to see Lydia safely through her quest, and I cared about what happened to her. Her life was more than it seemed, and even as the secrets of her past unfolded, I feared they would take her away from being able to fulfill her calling and find happiness. 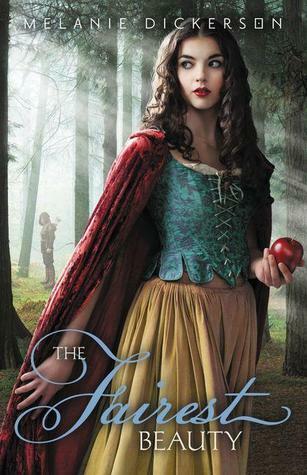 I can't tell you how the story unfolded, but I can urge you to check it out if you enjoy historical fiction! I received my copy of the book from LitFuse Publicity in exchange for my honest review. All opinions are my own. There's something exciting about picking up a Tracy Higley book. As her website suggests, a good book is almost the same as time traveling! What a gift Tracy has for making history come alive. 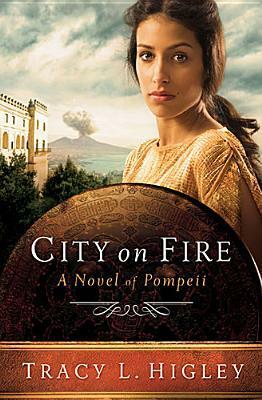 "City on Fire" is the story of Ariella, a Jewish slave in Rome whose spirit has grown dim under the harsh hand of her master. One dark night she manages to escape and, disguising herself as a boy, begins training to be a gladiator. The troupe is soon leaving for Pompeii, putting further distance between her and years of bad memories. New in Pompeii is Quintus Portius Cato, a young politician whose failed career in Rome has left him eager for a fresh start in a new place with a new business. The political circuit is the last thing he wants to think about, but he is soon sought out by those under the oppression of Maius, an unethical local ruler who has the whole city in his grasp. No one is brave enough to run against him in the upcoming election. Cato cannot bear to see injustice, and when Maius's evil gaze turns in the direction of his family, Cato decides he must stand and fight. Ariella is beginning to feel alive with her training as a fighter. When her true identity is discovered by Portius Cato, she fears his attention is merely a step in using her for his own gains. Will he ruin her plans to make a name and free herself from the chains she has known so long? As the story unfolds, the volcano Vesuvius churns nearby. We know from history what its eruption will do to this city on the sea. Who will escape the destruction, and who will be caught in its grip? 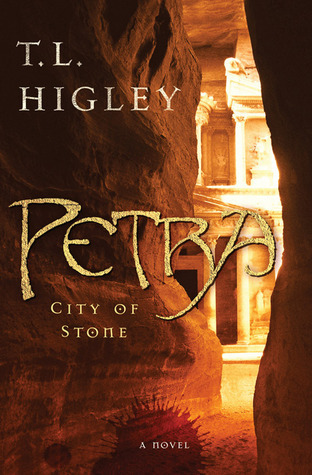 My favorite part of the story was seeing Higley's portrayal of the first century church. I loved how well she showed that they were a family, and their Christian love crossed all social barriers. Slaves were as welcome as the wealthy. It was also special to see some minor characters again, whom I had first met in another Higley book. I must note that due to the nature of the culture in which this story is set, this isn't a tale I would recommend for young readers. Higley handles it tastefully, but she doesn't pretend it wasn't there. 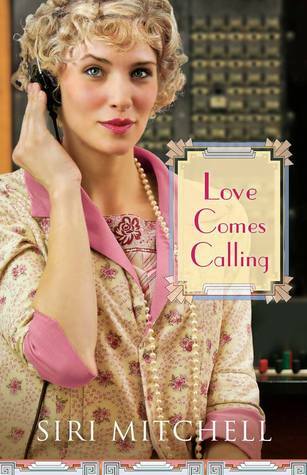 For discerning readers who love historical fiction, you cannot go wrong with Tracy Higley. I am a huge fan! I received the book from the BookSneeze in exchange for this honest review. All opinions are my own. I have long enjoyed Tracy Higley's historical works, but after finishing "So Shines the Night," I can now say this is my new favorite of her novels. It holds a wonderful blend of elements: Biblical accuracy, history, suspense, romance. Being a busy person, I normally catch my reading time in little spurts here and there. While reading "So Shines the Night," I often found myself being upset when the clock informed me that I needed to go to work or had another responsibility to handle. I just wanted to find out what would happen next! Daria is a tutor on the isle of Rhodes in AD 57. Being an educated woman at a time when all scholars were male has always set Daria apart. She fears little, but she knows there is evil in the world and has often felt it reaching out for her. When a confrontation with a sorcerer leaves her fleeing for her life, she literally runs into Lucas, a merchant just heading back to his home in Ephesus. Seeing something inside her that draws him, Lucas offers to bring her to the safety of his home in exchange for tutoring, and promises he can secure her a position at the famous school of Tyrannus. Daria decides to take the risk and lets him whisk her across the sea. But will his home be the safe haven he promises? A tortured soul, Lucas is only months past the murder of his wife. Hers was the first in a continuing string of murders in Ephesus, and he himself has been one of the suspects. Vowing to exact revenge, Lucas has spent time ingratiating himself into many different sects within the city in order to determine who is responsible for the brutal crimes. Now on the inside of the silversmiths guild, the Christians, and the sorcerers, Lucas is in the middle of a spiritual war beyond his comprehension. At times he is pleasant and warm, at times rough and brusque. Daria longs to be the light that brings Lucas out of the darkness, while yet beginning to fear it may be too late to pull him back. In exploring the city, Daria meets the dynamic teacher Paul and many of his friends. Observing Paul heal a man of demon possession, Daria is drawn to the power inside him. Striking up a friendship with the Christians, Daria is both confused and captivated by their faith in the One God. Here in a city totally devoted to the worship of Artemis (Diana), Daria must look at faith and devotion and decide who she will choose to serve. With Christianity a growing force in Ephesus, the workers of darkness seek to strike against them. Demetrius and the silversmiths plot to retain their livelihood; the sorcerers seek to drive them out with dark spells. Although very familiar with the Acts 19 passage in which the story is set, and therefore knowing how things would end for our Biblical characters, I was on pins and needles to see how Lucas and Daria came out on the other side. I began to fear that we might reach the end having witnessed one or both of their deaths. I am not opposed to killing a main character if done well, and I knew Tracy would do it well if she did. There are twists and turns at the end, but the conclusion was completely satisfactory for this reader. You will have to check it out this amazing story for yourself and draw your own conclusions on it! "So Shines the Night" releases today and is available at all retailers. I received my copy from BookSneeze in exchange for this honest review. 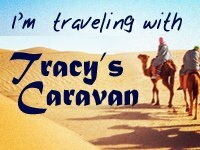 As part of Tracy Higley's Caravan, I'm pleased to share this interview with Tracy with you all! Keep reading to see her thoughts on this story, and don't miss the chance to win a $50.00 gift card below! Q: You have gone on so many amazing travels. What was one of your favorite things about visiting Ephesus? A: I think it was the sense of being somewhere “where Paul walked.” Sitting in the theater, looking down over the Harbor Street where he was likely kept prisoner at times, I had this amazing moment of “I can’t believe I’m here” – the kind of moment that gives you chills and makes you feel connected to something larger than yourself. Q: What inspired the theme of So Shines the Night? A: The idea of community is dear to my heart, and the struggle we all have to not live in isolation. I wanted to take a look at two people struggling to do the right thing, but going about it the wrong way because they were isolated both from other people and from God, and to see what would happen when they brushed up against a community like the first century church. 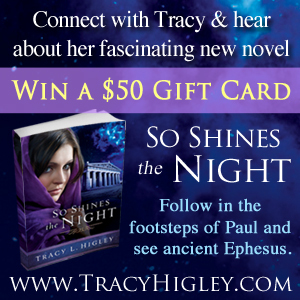 Q: When you visited Ephesus, what was it like to be in the same city that Paul ministered in centuries ago? A: It was thrilling, to be succinct. There is a sense of “this is real – this really happened” that sweeps over you and pulls you back in time and into the world of the Scripture in a new and fresh way. I loved it. Q: What's one thing you learned about Ephesus and its importance to Christians that you found surprising/interesting/challenging? A: I had never realized or noticed until studying this time in Paul’s life, how much time he spent there (nearly three years). I always pictured him hopping around from place to place fairly quickly. I was challenged by the time that he invested in people’s lives, the relationships and bonds he formed. Later, when the Ephesian elders said goodbye to him, the book of Acts tells us that they were literally weeping. It’s easy for me to minister to people “from afar” but I was really challenged by Paul’s relational approach to sharing Christ. Q: How was the experience of writing So Shines the Night, compared to your other Seven Wonders novels? Q: How has your writing, research, and travels affected your spiritual life? A: Great question. All of it has definitely given me a larger sense of the world and what God is doing in it, both now and through the past. It’s made me realize, as I’ve studied God’s work in the nations throughout history, that He has always been calling all people to Himself, and that He still is. It’s also given me a desire to see the kind of Christianity that was born in the fires of Roman persecution become part of our experience now – a living, breathing faith that radically transforms our lives. Q: What is your favorite thing about writing? Q: Can you share anything about your future projects? A: The best way to get a sense of what I’m working on now would be to visit this page: http://tracyhigley.com/books/work-in-progress/ Although, don’t hold me to all those thoughts about the book I haven’t started yet – who knows where that will go! Click the graphic above for a chance to win! Thank you so much, Tracy, for blessing my life with your storytelling abilities, and for the insightful interview! I'm proud to be part of the Caravan, and was so tickled when I found my name listed in the Special Thanks section. You're the best! Tracy Higley week on hold! Ooops, blogger error! When I received the e-mail about the "So Shines the Night" blog tour, I thought the date said March 8. Turns out March 8 was just a deadline for submitting questions for Tracy to answer for the interview. My bad! I hope all of you will come back next week, when there will be a blog tour and full review for this amazing novel! Not to leave you completely empty, click here for pictures of Tracy's travels to Ephesus. 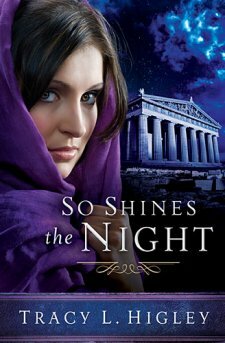 She really made these ancient streets come alive in "So Shines the Night!" Watch the video below for a behind-the-scenes look at Tracy's new book, "So Shines the Night." I am just a few pages from finishing it and I still don't know how it is going to end! I've loved it and can't wait to share my review with you all tomorrow. Paul is one of my favorite Bible characters and it's wondeful to see a different look at the early Christian believers and how the world began changing with the spread of the Gospel. "So Shines the Night" hits bookstores next week, but you can read the first three chapters on Tracy's website if you'd like to check them out. 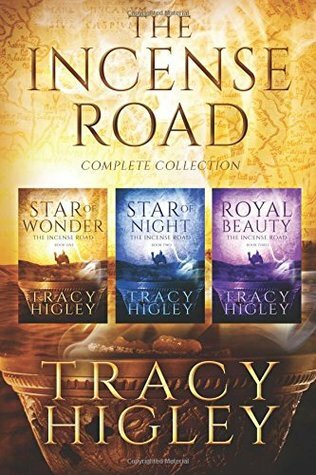 There's something wonderful about a book you can't put down, and that is exactly where I find myself with every new Tracy Higley book! 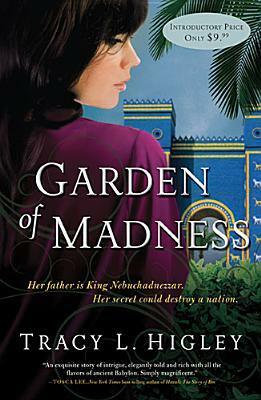 "Garden of Madness" transports the reader to ancient Babylon with rich writing, exquisite details, and a depth of plot which keeps you turning pages to see what will happen next. Princess Tiamat is the daughter of King Nebuchadnezzar, who has been out of his mind and living like an animal for nearly seven years, secreted away in the famous Hanging Gardens. Tia fiercely loves her father, and is indeed passionate about everything she does. Like all determined and independent personalities, Tia has a hard time fitting into the role prescribed for her. She was given in a treaty marriage to a Jewish prince when she was 14, and after seven unhappy years, she finds herself a widow. The very same night as her husband's murder by poisoning, another body is found viciously dismembered on the palace rooftop. With the kingdom precariously balanced on the secret of Nebuchadnezzar's true illness, these killings threaten to expose everything and turn Babylon over to their enemies. The queen, anxious to hold the kingdom together, desires to immediately arrange another treaty marriage for Tia, this time to a prince of the Medes. But Tia has no desire to be ruled by another man. She craves freedom. She knows that since she did not bear her husband any children, Jewish law dictates that she should be married to one of his brothers to raise up a child in his name. 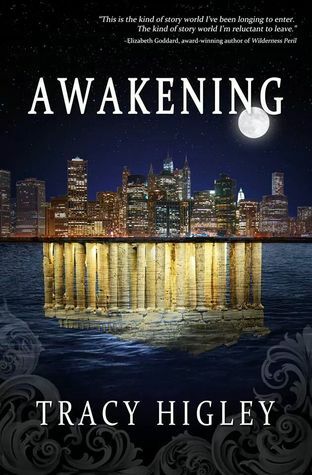 Pedaiah, Shealtiel's next younger brother and the new heir of the Jewish throne, has secretly been in love with Tia for many years, even as he despises everything that the Babylonian princess stands for, and his own weakness for being drawn to her. Hatching a plan to save herself, Tiamat tries to convince Shealtiel's family to betroth her to the youngest son in their family, who is but 10 years old. Wicked forces who are indeed seeking control of Nebuchadnezzar's empire are involved in hidden works of darkness. There's a deep thread of spiritual warfare as these men call forth spirits and cast spells of torment. While this side of the story is done well, the evil creepiness is something I would shy away from younger readers seeing. Thankfully we know the power of the One True God, and that darkness cannot stand when He is near. We race through the chapters to see if Tia can come to trust in our God before her fate is swallowed by those who have been conspiring to use her for their own purpose before she was even born. 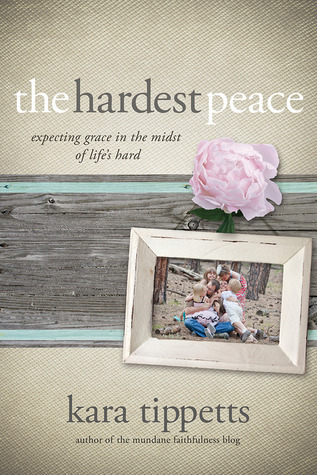 Amid these troubled times, Tia seeks the wisdom of her father's old counselor, Daniel. I absolutely loved having Daniel as a character in this novel! He was exactly as I'd always envisioned him: kind, wise, patient. He offers truth at every turn. He cautions Pedaiah against his immense pride, and extends help and protection when Tia is in need of it. Everything I have described here merely skims the surface of this story. Although I have enjoyed every Higley novel I have read, she is truly becoming a more masterful storyteller with each release. Keep watching this blog for another Higley review before the end of the week! For more information about "Garden of Madness," check out the video and links I posted yesterday. Tracy Higley discusses "Garden of Madness"
Tomorrow I will be posting my review of Tracy's 2012 release, "Garden of Madness." In this continuation of the Seven Wonders novels, we visit ancient Babylon at the time of Daniel and King Nebuchadnezzar and find mysteries hidden in the Hanging Gardens. The heroine is Princess Tiamat, and in the video below Tracy talks about the themes in the story. Watch for my review tomorrow, but if you'd like to peek at the first three chapters of this novel, they are available at this link. I am in the middle of Tracy Higley's latest book, "So Shines the Night." It is fantastic! It hits bookstore shelves next Tuesday, but I will have the honor of sharing my review on Friday, as well as part of an interview with Tracy and the chance to win some goodies. Every day between now and Friday I'll be posting something about Tracy and her books. Today I'm sending along the links to other reviews I've written about Tracy's books. If you are interested in Biblical fiction or ancient history, you will not want to miss these! My awards for books I most highly enjoyed in 2010. Higley is on my official watchlist of "authors I must read" after weaving these powerful stories. It's a great concept: a novel set at each of the Seven Wonders of the Ancient World. There are three titles out so far and I've found every one excellent. Besides the fact that they have sent me on a research mission of my own to know more about these places, what I also find inspiring is how Higley gives us a look at the faith of believers before Jesus Christ came into the world. How thankful I am that our Messiah has already come and we are no longer awaiting His arrival... yet we are still tied to those many thousands before who trusted in the One True God. I can't recommend these enough for those who love history! I haven't read the third book in this series yet, but the first two were wonderful. The first book is focused on Dr. Demitria Costanas, a woman literally caught in adultery who has lost her job, her self-respect and is well on her way to losing her family. The second book is about Lucia, a woman who has given up her desires and interests in favor of others all her life, but with her marriage on shaky ground and her televangelist sister needing her more than ever, she has some hard questions to ask herself. The connecting factor in both stories is Christian counselor Sullivan Crisp, who is on his own journey to work through the pains and haunting remnants of his past. Sully's story is woven seamlessly through these two books, while remaining separate from the ones he is working with. I can hardly wait to see how his personal healing comes full circle in the third novel. 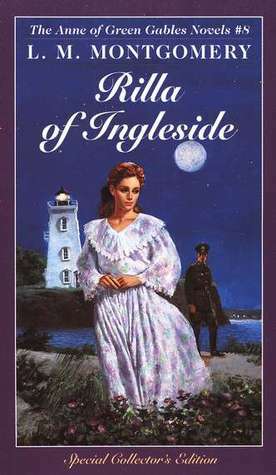 This was one of my grandmother's favorite books and I remember her reading it to me as soon as she thought I was old enough to begin understanding it. It has continued to be a favorite of mine through many re-reads and this time through I realized just how much this book made an impression on me while growing up. I love how good literature does that! Evelyn gets together with 7 other ladies to learn what happens when women pray... and it turns out to sweep across her home, church, community, and even beyond to change people's perspective on prayer. I thought this was very straightforward and focused on the right areas without being overbearing. Simple yet challenging! It made me want to get on my knees and start praying, which is exactly what a book on prayer should do.